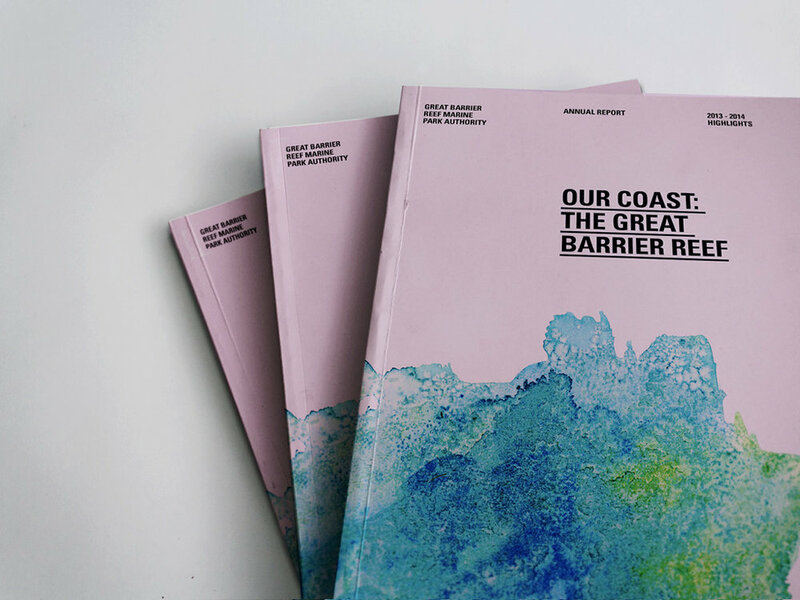 To stylise and enrich the Great Barrier Reef Marine Park Authority's annual report. This design begged for a handmade dimension to strengthen and elevate the text heavy documents provided by the clients. the body copy alluring and inviting.